In the last third of the fifteenth century, Hugo de Urriés’s work can offer the modern reader a very rare and informative perspective from the points of view of social history and history of ideas. The Dezir del casamiento (Poem of Marriage) is a very extensive moralising poem written by Aragonese courtier Hugo de Urriés, known by critics as the devout lover of Spanish courtly literature because of his very unusual autobiographical celebration of his life with his wife. The poem is an enthusiastic encomium that was completely alien to the Castilian mainstream courtly canon. This article analyses the literary, philosophical and religious traditions informing Urriés’s writing as well as the social, biographical, and historical circumstances shaping his ideas about gender relations. 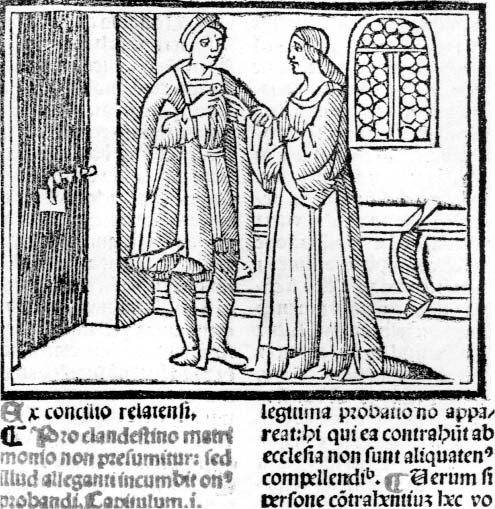 The methodology of this work serves the purpose of going beyond erudite study of texts, traditions and sources and tries to reflect intimate experiences and beliefs of real people about marriage, perhaps the most important and visible regulator of personal relationships between men and women in the period prior to the changes introduced by the Council of Trent. The article identifies the universal thinking behind Urriés’s idyllic account of his life as a married man. The fifteenth century in Spain witnessed an unprecedented emergence of a debate about women. The protagonists of this discussion were normally male. The debate took place in the context of doctrinal texts, instructions to women, courtly literature and treatises devoted to good behaviour and courtmanship. It is also prominent in texts of a medical or religious nature. In all of them, the theme of women, their condition, social role and their habits was one of the most commonly repeated in both the poetry and prose produced in the Iberian peninsula in the late medieval period. Some of this literature addressed the practicalities of the institution of marriage. However, the debate rarely focused on this crucial regulator of coexistence between men and women, and generally mirrored the European dis- cussion about the nature of women. Many volumes in recent years have compiled, edited and glossed the key works of the Hispanic querelle des femmes. There are also a number of studies on the sources and traditions informing two superficially differentiated currents. The first is defined by a somewhat misogynistic approach, generally described as medievalising and with its roots in the Old Testament. The second is a more progressive one which has been perceived, not without unhealthy doses of presentism and anachronism, as protofeminist, in defence of women and usually linked to an incipient lay and humanist philosophy.